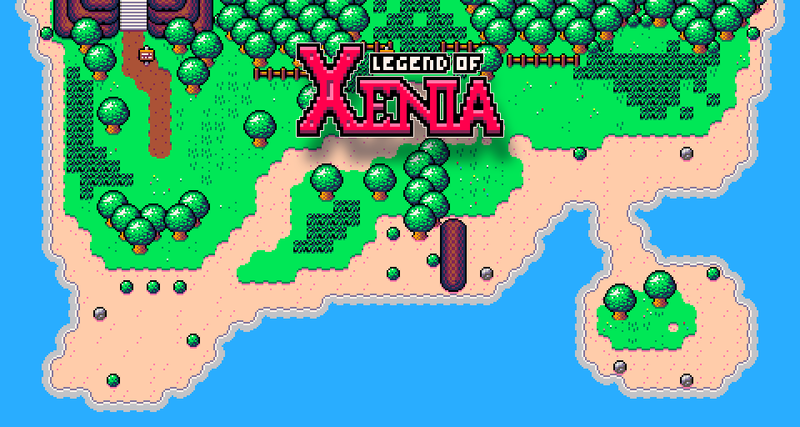 Legend of Xenia is a retro-inspired, open-world Zelda-like with a resolution of just 64x64 pixels. Legend of Xenia placed 8th best, among ~400 entries. Version 1.0 is the "authentic jam version", the one submitted for the deadline. 1.1 fixed a number of bugs and issues. See comments for what's fixed. Hi! I really liked your game. Can you please send me the source code so I can add some things to improve the game. You should add a web version! PICO-8 supports it, no? This is not made in PICO-8. Oh, that's weird. It came up on the PICO-8 tag when I was browsing for games, strange. 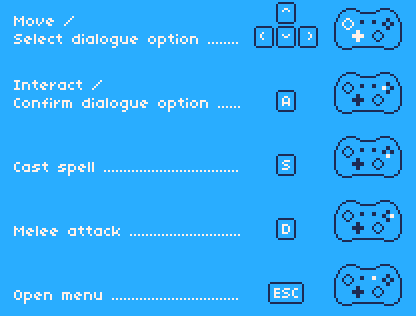 Now that I'm looking at the game's metadata, I see PICO-8 is also somehow listed in the "Made with" category, which is definitely a mistake, I'll see if I can at least fix that. Easy - didn't use Pico-8. Didn't take very long, but those 20-30 minutes of gameplay were fantastic. A list of the controls on this page would have been helpful, though. Anyways, I loved it! Keep up the good work. I cannot open the game file. The game may be great but it keeps saying it is damaged when I try to open it. (btw I'm using the Mac version). Any help is greatly appreciated. Hey You And Your Friends (I Assume) Have Really Done A Great Job, If You Ever Need Help With New Additions To The Game Just Go Ahead And Ask. Duh.. Go and make some video games! Hi! Thank you for the comment and for playing the game! Sorry for this late answer, life's been busy. The 3rd key is in the middle of the Mucky Thicket area. A small update to the game is in the works, but other things have kept me busy, so it's a little delayed. The update will only add some small cutscenes and a "main menu" type thing anyway, so if you're thinking of playing LoX right now, the current build is still totally ok! A Linux is also a thing that could happen with the update. It works pretty well under Wine on Linux; it didn't seem to recognise my wired XBox controller but keyboard works fine. Was it made with Game Maker ? Any plan for a Gnu/Linux version ? A Linux version was talked about, but since people requested a Mac version, we prioritised that highest in the past. I'm working on an update to the game that should be released some time this week, so I'll talk to my Mac/Linux guy about also compiling for Linux this time. Seems intresting. Can you make a mac version after the jam? I can't do it myself as I don't have any Mac hardware to compile it on, but I know some people who do. I'll talk to them about it! Mac version up! If you find any issues with it, throw a comment my way and I'll try to figure it out with my Mac compiler guy. alright, walking diagonally makes you move faster. Is that a bug or purposefully added? Also the gameover screen is pretty violent compared to the rest of the game, so it doesn't really fit in... But thats just a nitpick. When moving horisontally, your horisontal speed is 1 pixel per step (game runs 30 steps per second). Same goes for vertical movement. So when doing both at the same time, both horisontal and vertical speeds are 1, resulting in an effective diagonal speed of sqrt(2), or 1.4. It's just a quirk of my movement system. I could do something fancier, but at this low resolution, horisontal and vertical speeds that aren't ints looks really bad, so I kept it simple. Hmm, when I try to open it I see the error message: "Legend of Xenia" is damaged and can't be opened. You should move it to the Trash.